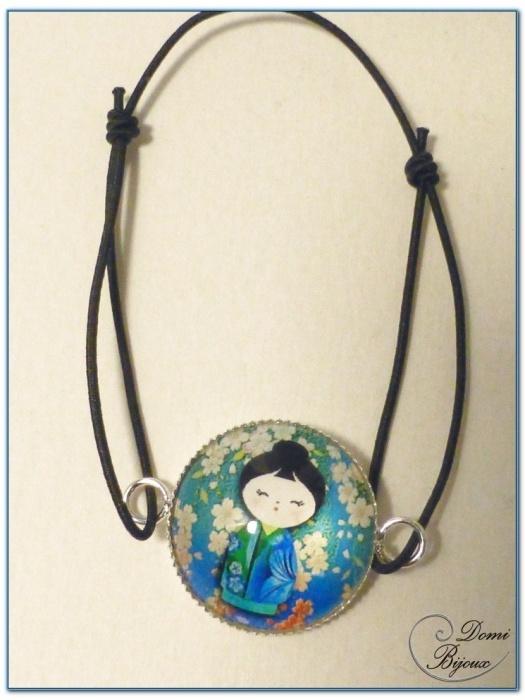 Nice fashion elastic bracelet made from a 20 mm diameter cabochon with a japanese geisha at vivid colours. 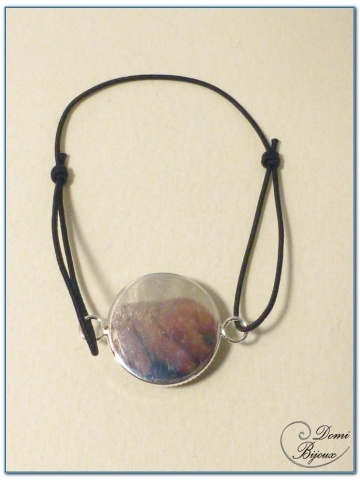 This cabochon is mounted in a silver finish frame. So done, this cabochon with frame is mounted on an elastic coton cordon black colour. 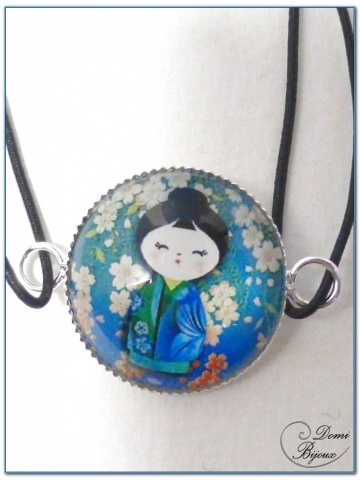 This bracelet is adjustable, from a children size to an adult size. The metal used is nickel free, so without risk of allergie. To store it carefully when you don't wear.you will receive your bracelet in a cloth pouch closed by a link.